A Louisiana company has been ordered by a federal court to stop selling misbranded, unapproved, and adulterated drugs and dietary supplements. 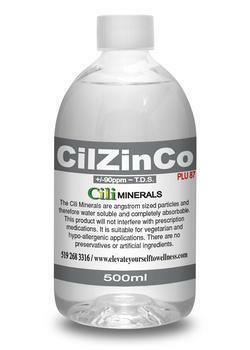 Pick and Pay, Inc./Cili Minerals LLC had claimed that its products could cure or prevent a variety of diseases including cancer, cardiovascular disease, and multiple sclerosis. The products at issue include ADD-Ease, Bone Structure, CilZinCo, Calcium, Boron, Potassium, Cilver, Sulfur, and Germanium. According to the complaint, several FDA inspections between 2012 and 2016 allegedly revealed that the defendants failed to ensure the identity, purity, strength, and composition of their finished products. The complaint further alleges the defendants violated the FDCA by failing to manufacture products in accordance with FDA’s current good manufacturing practice (CGMP) regulations for dietary supplements, which require manufacturers to have systems in place to ensure that their products meet specifications for identity, purity, strength, and composition. “Consumers deserve to know that the dietary supplements they ingest are safe and comply with the law,” said U.S. Attorney Stephanie A. Finley for the Western District of Louisiana. “When manufacturers and distributors market and distribute misbranded and adulterated products, the Justice Department will take affirmative steps to protect consumers."